Prime Minister Narendra Modi with President of the Islamic Republic of Afghanistan Dr. Mohammad Ashraf Ghani, at Hyderabad House, in New Delhi on April 28, 2015. New Delhi: Indian Prime Minister Narendra Modi today said that Afghanistan is succeeding against huge challenges and people in India admire the courage and resolve of the Afghan people to seek a future of peace and prosperity. The Prime Minister was addressing a joint press briefing with Afghan President President Ashraf Ghani after discussing what he described as “historic efforts to rebuild his nation. The Prime Minister reiterated India’s resolve to continue this journey in partnership with President Ghani and his National Unity Government with Chief Executive Dr. Abdullah Abdullah. Modi said in categorical terms that India has shared interest in the success of an “Afghan-led and Afghan-owned process.” This should be conducted within the framework of the Constitution of Afghanistan, without the shadow of violence. It should reinforce the political, economic and social progress of the last fourteen years. And, it should protect the rights and aspirations of all sections of the society, including Afghan women. Focusing attention to terrorism, Modi emphasised that India shares Afghanistan’s pain over persisting terrorism and extremist violence that destroy lives and derail progress. President Ghani shared his impressive vision for Afghanistan’s prosperity, based on its talent, resources and location. 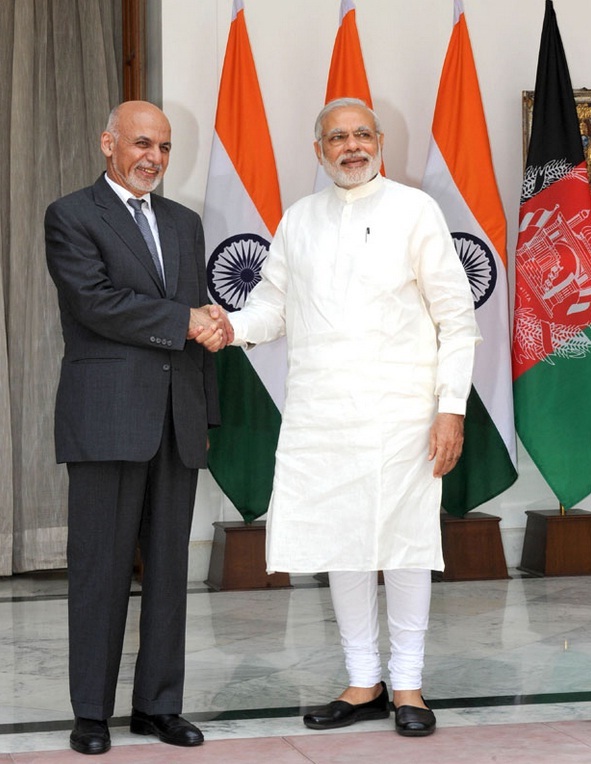 We believe that Afghanistan’s direct surface link to India and the rest of South Asia could turn Afghanistan into a hub that connects Asia’s diverse regions and beyond.